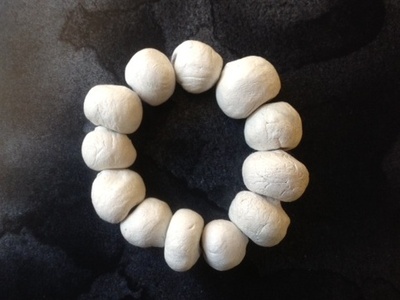 Have fun making your own beads out of clay and make a necklace or bracelet. 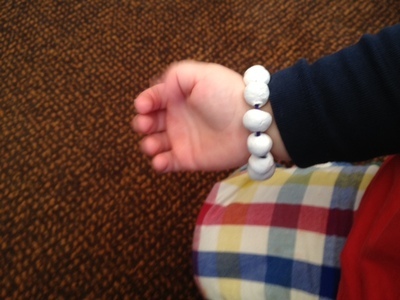 Leave them natural for a Wilma Flintstone look or paint them with nail varnish for shiny colourful beads. 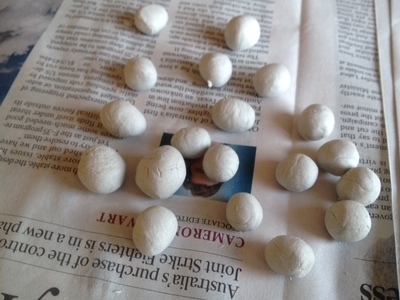 Roll the clay into little balls. 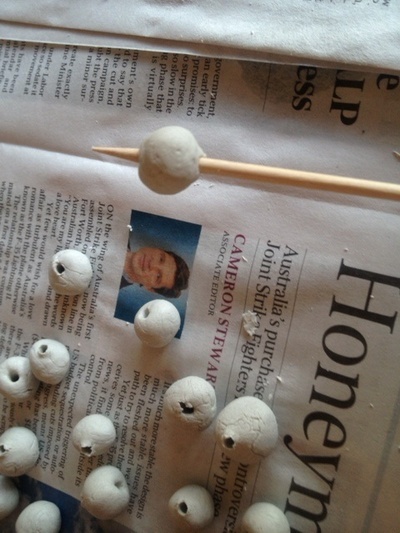 Make a hole through each ball using the skewer. Thread onto elastic to make a bracelet. Tie the ends of the elastic together and trim. 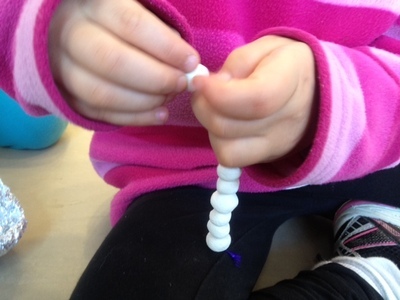 Slide the knot into one of the beads to hide it. Your bracelet is now ready to wear. 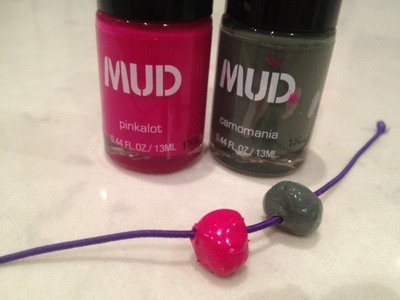 If you want to make a colourful shiny bracelet, try painting the beads with bright nail varnishes.